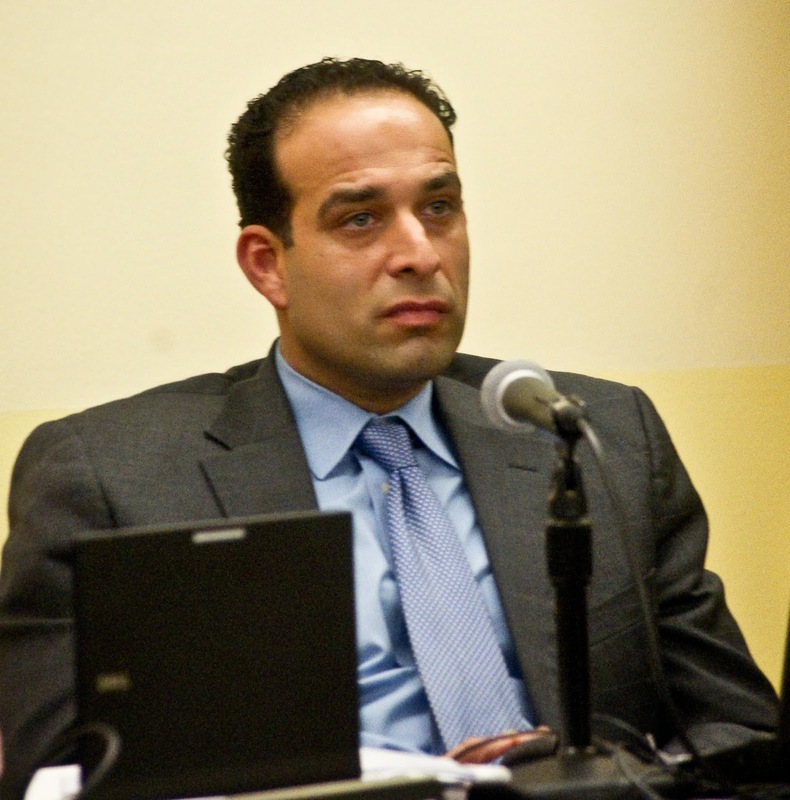 Carmelo Garcia, the former Hoboken Housing Authority Director who saw his contract terminated last August filed a third lawsuit against the mayor, HHA and its board members claiming his termination is for ethnic reasons described as illegal and discriminatory. The story was reported earlier today by the pro Old Guard Hudson Reporter. The first two lawsuits were filed with much media attention last year gaining national coverage when Garcia attorney Louis Zayas charged Mayor Dawn Zimmer with "ethnic cleansing" claiming her opposition to the controversial undocumented plan Vision 20/20 sought her own version with a desire to remove minority and Italian Hoboken residents. The first Garcia lawsuit was thrown out of Hudson County Superior Court in its entirety last December. The second lawsuit which followed saw a similar fate with most of it tossed as well in February. Garcia currently continues in his two year elected position as NJ Assemblyman. According to the HR story, the third lawsuit claims the contract termination was orchestrated by the mayor, accusing her of retaliation due to Garcia not appointing connected professionals. The same complaint was made in the second Garcia lawsuit but never offered any details to support the claim. He also says the mayor and the co-defendants "form an association" to consolidate the mayor's political power. Garcia is said to be seeking damages with punitive, attorney fees and his contract as HHA Director back. The HHA is currently being led by interim Director Bob DiVincent who earlier served in that capacity prior to Garcia who assumed control in 2009.
lawsuit since last year against Mayor Dawn Zimmer and the HHA. terminate his contract calling it illegal and discriminatory. Talking Ed Note: In late August, Carmelo Garcia appeared at an HHA meeting blaming others for release of a damning HUD report. The federal agency stated the numerous problems in the HHA required all procurement be approved by the agency right down to pencils due to the massive million dollar revelations of illicit procurement. The last figures pointing to unapproved contracts issued solely by Garcia outside of federal rules is approximately six to seven million. Several vendors without contracts approved by the HHA Board of Commissioners were found to have given thousands of dollars to Carmelo Garcia's political committee earlier this year. MSV broke the exclusive story last May. Since Garcia's departure, the HHA has seen numerous other problems uncovered beyond millions in illicit procurement activities. HHA residents have come out in recent meetings speaking publicly on some of those issues. "For now, we hear more of Carmelo Garcia threatening a third lawsuit. His first "ethnic cleansing" lawsuit was thrown out of Court on the first pass early this year. His second almost saw the exact result as the first and and most went into the trash heap. A third looks like it's legal charity work for an outcome more certain than not." Original story at the link. The HR vaguely references the second lawsuit not mentioning most of it was already thrown out of court. Related: HUD released a scathing report in August pointing to massive procurement issues in the HHA under the reign of Garcia. The HUD findings have gone unreported by the Hudson Reporter including today's story. Garcia before his termination made an appearance in "The Fracas" video. He's seen attempting to get MSV back into the pit where a mob is mentioned during the melee "getting out of hand." During the crowd disorder, MSV had its camera equipment bag and wallet stolen lying against the council dais only several feet away among a pile of other reporter's gear.